An unparalleled location in the heart of downtown Vancouver, original art and modern furnishings, exceptional dining: all of this and more await you here at The Listel. And as if that weren’t enough, our hotel also offers an array of boutique amenities, designed to help you get the most out of your visit – from hotel-wide Wi-Fi to an on-site fitness centre and convenient valet parking. All of us here at the Listel are passionate about making your stay with us unforgettable; if you need anything at all while you’re here, please don’t hesitate to let us know. From June 1 – September 30. Available any time after 9:00 AM until the sun goes down. For hotel guests only - first come, first served! Just ask one of our Guest Services Agents about them. ​5:00 p.m. – 6:00 p.m.
Our same-day laundry and dry-cleaning service enables you to pack light on your trip here to Vancouver. Simply drop your clothing off with us in the morning, and we’ll take care of the rest. (Charges apply; not available Sundays and Holidays. There’s no need to miss out on your daily workout while you’re with us in Vancouver. Our hotel makes it easy and convenient to stay in shape, with an on-site fitness centre featuring treadmills, cycles, and a universal gym. We also offer complimentary passes to Steve Nash Fitness World Express, located just three blocks away. ​If breaking a sweat outdoors sounds a little more appealing, there are plenty of options near the hotel; check out the world-famous Stanley Park and Seawall. Rent a bike, go for a run, or roller blade – and let us know if you’d like some suggestions for planning your route. Ask us about our electric bikes available from June to September. 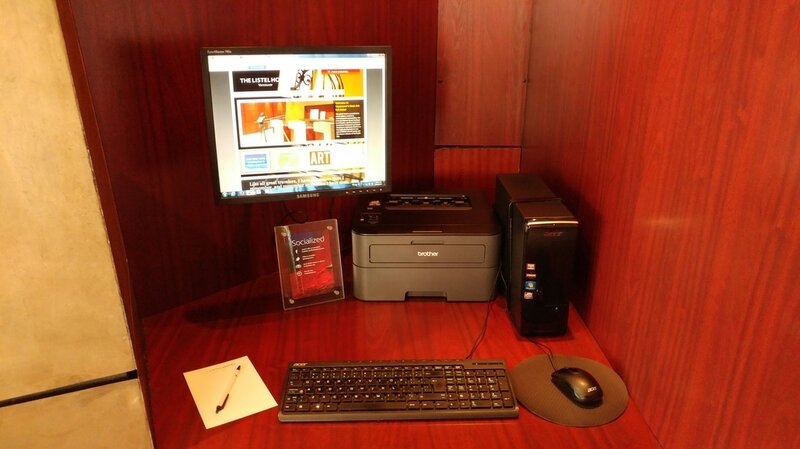 Whether you’re taking care of last-minute meeting details or simply checking your email, you can make use of our hotel’s on-site computer kiosk, complete with complimentary Internet access and print capabilities. ​This includes 24-hour secured gated valet parking and unlimited in-and-out privileges. Lot clearance 6’6”; limited over-height parking is available – please call for details. ​We offer high-speed Wi-Fi access in all of our accommodations and throughout the hotel, so you can stay connected to the things that matter. Ask a member of our hotel staff for information about connecting to our Wi-Fi network.